This Sunday that I call well spent is because this was one of the rare occasions where I got the opportunity to hear from a very experienced and wise group of people under the guidance of Sri Uday Acharyaji. This was a workshop that was being planned for years now, had finally realized on this beautiful day! After this we were told to do another round of the same exercise and words like "mother", "dreamer", "charitable", and many more came out. Then Acharyaji asked us to go for the third round…by now everyone was forcefully thinking of more traits about themselves and were in a way giving some time out of their lives to figure themselves out! And at the end of this round we came up with many more words. When this was done we realized what we think of ourselves, do we give importance to our behavior, or do we identify ourselves with our jobs, or with the relationships we are in. This was when a streak of realization struck everyone's mind. Then Acharyaji asked us if we found this exercise useful and if we did then how?...many interesting answers like " it was forcibly thoughtful", "multiple implications of words were discovered", and for me it was a great learning experience. Now everyone was waiting to hear from Acharyaji about this topic "Identity Crisis" that we all had spent so much time hacking our brains over. During the talk he spoke about how we all tend to get confused between the roles we are assigned by nature to play. We try to do everything perfectly and that is where we fail!. We need to understand the difference between "chores or routine" and "purpose"! Once we are able to do this the "identity crisis" will fade away and we will be able to see our true self. Contentment and self confidence will follow! After this session the fun session started where we were divided into groups and asked to enact some situation depicting identity crisis. This was the part where people really opened up and had a blast!... A lot of laughs and joy filled the room. Later we all sat down and everyone came up and shared a life experience that had made an impact in their lives. It was amazing to get to hear from such experienced people from such vivid backgrounds talk about such simple experiences that changed their lives!..One aunty spoke about how she had copied n her exams and once was almost caught!! And she said that that was when she realized the presence of God!! As funny as it may sound but it was truly something we all could relate to!...It was the time when we all saw how simple things can be so impactful and life changing! With that the day ended…everyone left with a big smile on their faces! And as the hosts my parents and I felt a sense of contentment and happiness!....and hence this is how a beautiful Sunday ended! Tenant, Parent, Neighbour, Mother In Law, Grand Mother, Empathiser, Charitable, Busy Bee, kind, only, consumer, dreamer, ambitious, caretaker, intellect. 12. Saw many dimensions of yourself. Role confusion, too many roles, not able to prioritise your goals, changing identity, get lost in routine, try to play perfect, one role perfected others neglected, can’t do justice to the role, long term perspective is lost, short term is attended, compromising in my priorities and life for routines. Can you make a distinction between important and routine – as a mother. Important: take care of education, health, values, habits, motivation. 3 categories: Chores, routines, and purpose and means. Where will you give up? If you don’t have to do everything. Manage your time, do it effectively. Learn to say no (can give up chores), remember what you focus on. Define your important. Connect means to purpose. Then chores become meaningful. Never lose track of the goal. Write it down on the fridge, mirror. It motivates you. If the goal is clear, you’ll move towards the goal. If not, you’ll not. When purpose is clear, a lot of things are clear. If the goal is not clear, we don’t know where to draw line. Know what to say yes to - easy to say no. If your priority is to be liked by everybody, it is difficult to say no. My life will go nowhere. You can’t please everybody (perfectionism). I want to do everything – not possible at all. Vedanta Part: Life is manifestation. You are also manifestation of God. It is expression in appearance. Reality is what you are. You are both appearance and reality. When move from expression to reality. You are someone who is common to both. I flew. I mean aeroplane. What you have or what you assume is not what you are. It is the role. When i say, nothing, it is nothing recognisable. Nothing but the locus. Disappearance has also a location. Something has become nothing. Nothing is a condition. Ask yourself what is the purpose? Of a house holder). Learn to make life easier. Not by giving up goals. Give up chores. Learn to let go of the unimportant. Doing more and achieving more are differe3nt. In efficiency, by doing things more efficiently you save time. But saving time what am i doing? Not focused on whaqt is important. Efficiency should move towards achievement and achieve the right things. From efficiency to effectiveness, from effect veness to greatness. You have to be fully functional. Integrate your habits to achieve right things. Right way in the right direction. You help other people to find themselves. From greatness to freedom. Greatness is an expression, a condition. You are unconditional. Doing is expression. AM is reality. I appear as human being. Manifestation is a part. Surrendering to god is to surrender your ego. If you say you are nothing, you are insulting god. I am what i am. Healthy self esteem. When you say i am nothing, it is reverse arrogance. Human is powerful, has potential. Use it well. Feel good about what you are. You are cocreator. Taking on your responsibility, play your role. I am the one who is playing the role. The problem is that we don’t want to unlearn. To gether. Two in one role. Easy to play. manage the role, you have to learn to unlearn, and learn something new. Family and social life – club. Have get together in different houses. Combine job and social work. Take a job which involves social work. Use your creativity. From nothing you become everything. Self fulfilling beliefs – spiritual intelligence. Belief is a choice. If you wqnt to succeed, success lies at your feet. Sometimes you are too proud to bend. We want other people to work for us. If you are willing to do what others are not willing, you’ll succeed. Don’t buy excuses, buy results. vedanta says all results are limited. Even greatest achievements mean nothing in terms of eternity. Coming to terms with eternity is real success. Ie, you look beyond success. You are successful. Sadness – ther is loss in terms of physical or potential. Come to terms with loss. Cleanse yourself. Get in touch with the loss. Grieve and let go. Happiness: Message is all is well. Emotions are your consultants. They confuse you if they are past and unprocessed. Take action and resolve. Acknowledge the fact and close the account. Present emotions are the resources. Pay them well. Balancing multiple roles is the new mantra in the fast changing world. Often role confusion sets in, with one role carrying forward to another. The parent goes to office, and the footballer answers the social studies test paper. In the melee, we forget to see who we basically are. What do we represent on this universe? Is there a core of stability and goodness within us that we can tap? Can we manage our routine stress and see beyond to appreciate the skies? What does Vedanta have to say about playing our roles in life? A workshop based on the insights of the Bhagvad Gita and other scriptures of the world, to build an atmosphere of leisure and hrmony centred on our inner being. Vedanta creates a paradigm shift in the way we see ourselves. Are we human beings pursuing spiritually, or are we spiritual beings behaving as human beings? 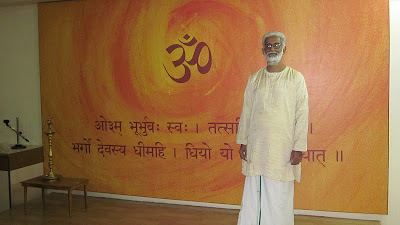 Uday Acharya is a Vedanta student conducting Vedanta Satsang classes in Mumbai/Navi Mumbai. 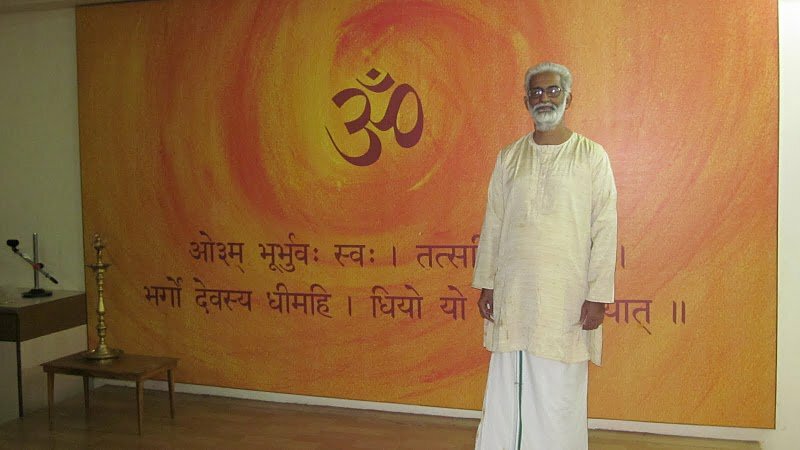 He organizes spiritual camps and weekend workshops on Vedanta and related topics. 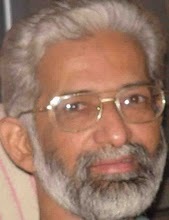 He is a mentor for VESLARC which conducts workshops for teachers, students, parents of Vivekananda Education Society (VES). He is Trustee of Vidya Vaaridhi Trust, an NGO promoting learning and personal growth.